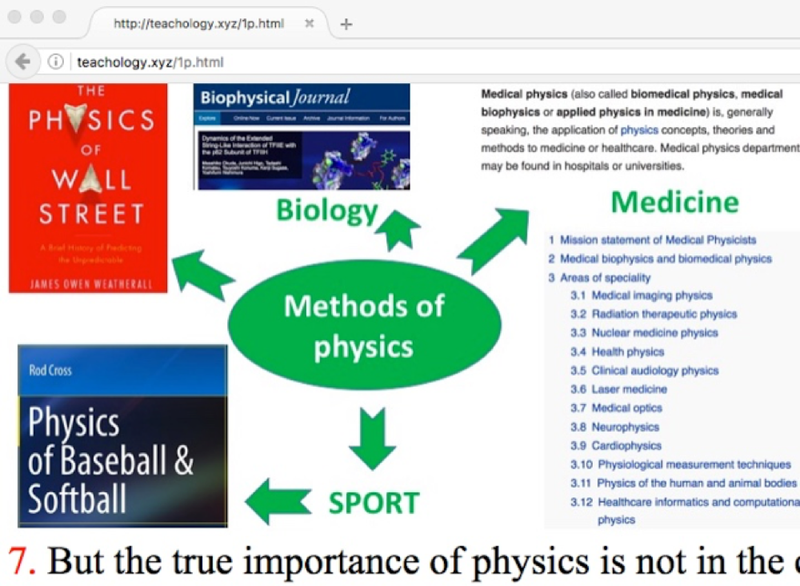 This link leads to an extensive, more detailed, presentation about the importance of study physics, including the project "The development of the uniform standard for measuring content knowledge in physics", which was used as the core for one of the proposals to the NSF Big Idea Machine. This post represents the transcripts of a short video, plus an appendix: Physics v. Computer Coding). Hello I am Dr. Valentin Voroshilov. Since my graduation with my Masters in theoretical physics I’ve been teaching algebra based physics, calculus based physics, algebra, geometry, trigonometry, even logic, and problem solving. I also have a PhD in education with the concentration in teacher professional development. I have developed and taught courses to middle and high school teachers. I also developed and taught a physics course for students with learning disabilities. So, I know a thing or two about teaching, and I am good at that. My website GoMars.XYZ provides all information about me (Why “GoMars”? Because it’s easy to remember!). If you click on this link you can read what my former students say about my teaching. This is the best proof any teacher can have of a good teaching (capital G, capital T). I’m pretty proud of this, considering that when I moved from Russia to Boston I practically couldn’t speak or understand any English. Today I teach and wright. I am very productive. I publish (and self-publish) papers and even books. I think that these days I am compensating for all those years when I was learning English (mostly via TV and radio) and couldn’t express myself. Since then every time when I begin teaching a new course, I look at my students, and I see an anxiety or even fear in many eyes. Based on my surveys, student feedback, and just everyday conversations with students, I know that many of them are scared of physics, they think physics is too difficult, and they can’t get a good grade in physics. 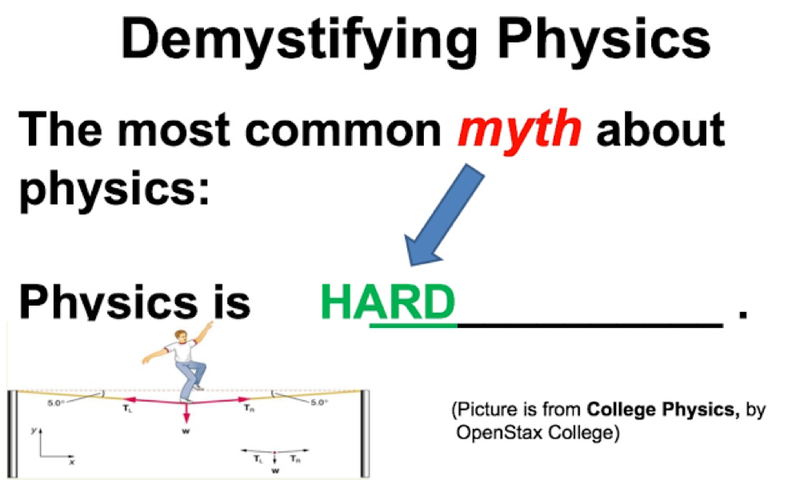 There is a lot of competition in a “science” of teaching physics. Some people compete for a fame like actors compete for an Oscar. Most of my students by the end of a course change the perception of physics from “hard” to “doable”, and a perception of themselves from “I can’t do physics” to “I’m actually smarter than I thought!”. I always say that to learn how to solve a problem about walking a rope is much easier and faster than to learn how to walk a rope. People say that to learn physics you have to be good at math. That’s not true. That’s another myth. To learn an algebra based physics people need to know a simple, elementary, rudimentary mathematics available to everyone. Learning physics is like learning a foreign language. You need to memorize a set of new words. And you need to be able to look around, to see things, to name those things, to classify those things and relationships between those things. As a school subject, physics is uniquely positioned as a bridge between an abstract world of mathematics and real world of actual phenomena. Physics as a science is based on experiments, but when we learn physics most of the work is happening in our brain. We have to use the power of our mind to manipulate with different images, ideas, abstract objects. That is why the most important tool for learning physics is imagination – like in reading and writing. Nowadays, physics is used far beyond just physics and engineering. It has entered business, medicine, even sport – and this is the first answer to “WHY students need to learn physics”. Everyone who considers a career in a STEM related field, has to take physics, and the sooner it’s done the better. 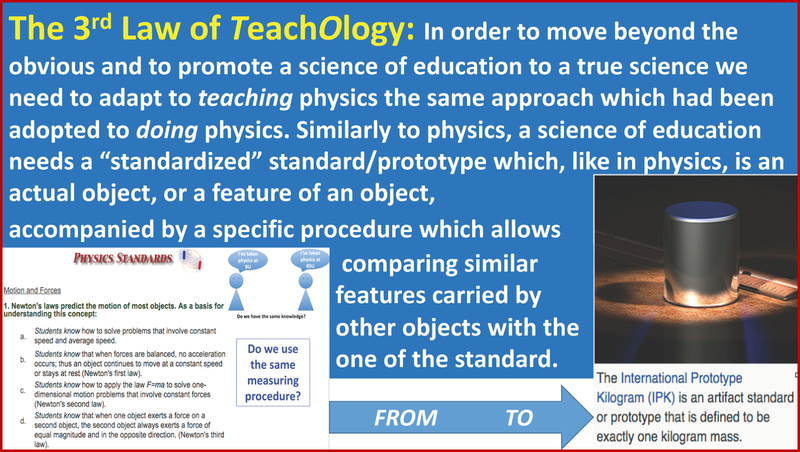 This link leads to an extensive presentation about the importance of study physics, including the project "The development of the uniform standard for measuring content knowledge in physics", which was used as the core for one of the proposals to the NSF Big Idea Machine. I want to finish this video with a question “If everyone can learn physics, does it mean that everyone can teach it?” The answer is “No”. Why? For a short answer, I recommend to read the “Fundamental Laws of TeachOlogy”. It takes just fifteen minutes. For the full discussion please read my book “Becoming a STEM teacher” which is available on Amazon.com or Smashwords.com, or NoiseTrade.com, and is (basically) free. 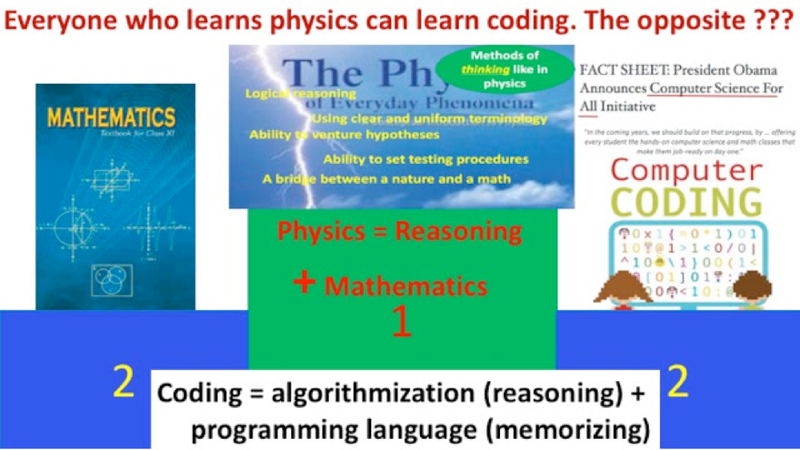 Nowadays computer coding, or “computational thinking” enjoy a broad attention, an ideological and financial support from all levels of government and philanthropy. According to the Wikipedia: “Computational Thinking is the thought processes involved in formulating a problem and expressing its solution(s) in such a way that a computer—human or machine—can effectively carry out. Computational Thinking is an iterative process based on three stages: 1) Problem Formulation (abstraction), 2) Solution Expression (automation), and 3) Solution Execution & Evaluation (analyses)”. Simply, computational thinking has two parts: developing the solution of a problem (a.k.a. thinking, or reasoning), and coding (translating into computer operations) that solution using a language understandable by a computer. The later part – coding – relies mostly on memorizing lines of computer commands (or, if using a high-level object oriented programming – memorizing a set of programming operations). Every road has its beginning. The birth of a knowledgeable and skillful human follows specific laws, in the same manner like the birth of a human. Skipping the stages is just impossible. Alternating the stages will lead to “birth defects”. For STEM, Computer and Data sciences the road, the evolution, the birth begins with PHYSICS! 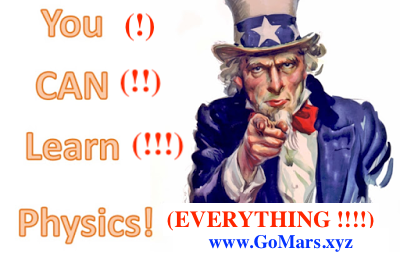 Before physics, reading, writing, math, general science leads to a person to be ready to start to study physics. Then study physics leads to the advanced development of other abilities require to succeed in science. Because physics is the only science suited as the bridge between abstract matters (math) and real world. BTW: That is why the NSF needs to have a project with the goal to allow ALL school students to study physics (like it does for computer and data sciences and cyber thinking). 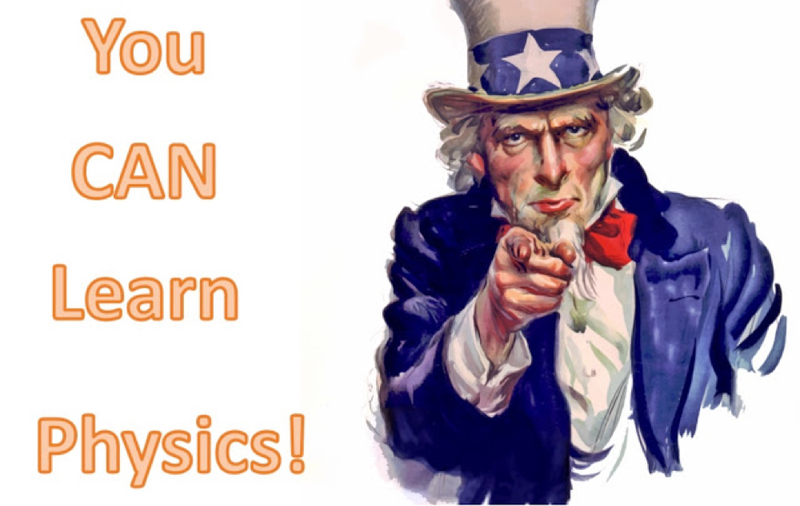 Physics Is the Door into STEM education! FYI: In Russia ALL middle-school students take physics 2 one-hour classes each week three years in a row (in 7th, 8th, and 9th grade); and then take physics again in high school (in 10th and 11th grades). Maybe that was the reason Russian cyber forces had beaten American counter forces in 2016? How much of “cyber” in “cyberlearning” and "cyberthinking"?? What is the difference between an expert and a professional? A professional does what is needed to be done. An expert explains - why. How do people become professionals? How do people become experts? By reflecting on accumulated professional experience. like the birth of a human. Alternating those stages will lead to “birth defects”. 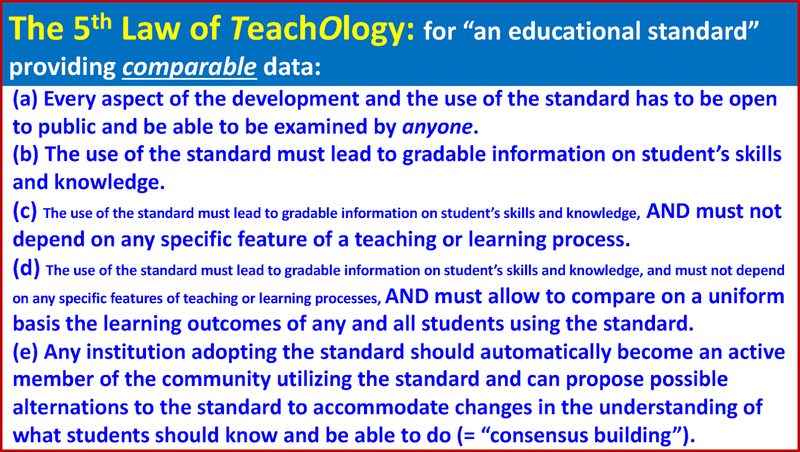 That is why we need to know the basic laws of TeachOlogy, so we could fulfill the mission of K12 education! When we talk about science we do not often think about what do we mean when we use that word. The (almost) only time when we try to invoke the definition of a “science” is when we want to run a comparison between a science and a religion. But when we talk about a specific science, like physics, or biology, or science of education, we automatically assume that all sciences are more or less equal to each other by their structure. This assumption is wrong. The full discussion about what science is would take too much time and space (here is an example from physics). For the purpose of this post we can rely on a common sense and the use of a clear analogy. Let's say you read a paper on geopolitics. You read that such a country is developed, and such a country is developing. Even if you don't know the exact definition of what a developed country is or what a developing country is you have the feeling which helps you to understand the difference; you have the feeling which helps you to answer a question about different countries: “Is that country developed or developing?”, e.g. Brazil is more developed than Mexico but it still is a developing country; the USA is a developed country (however, with underdeveloped public education); etc. The exact same feeling can be used to differentiate between specific sciences. Using the same terminology we can differentiate between developed sciences and developing sciences. For example, we can ask if physics is a developed or developing science. The answer is “Physics is a developed science”. There is no doubt about that. Mathematics is a developed science, as well. But what about education? The first note should be made that when we say this word – “education” – we don’t usually mean a scientific research in the field, but a human practice. That human practice – “education” – also includes a research in the field. But we don’t have a special name for that type of a research. However, we can say that the research in the field of education is in a developing stage, hence the science of education is a developing science. Most of the sciences fall either in a category “developed” (like math and physics) or developing (like education and economics). Personally, I do not like this particular terminology. I prefer calling a developed science just a “Science”. And I find calling a developing science a “science” is just confusing, because it makes it to be seen as a developed one. That is why I do not call a research in education a “science” but a “scientific field”. As a human practice education includes a research related to the study of properties and laws of learning and teaching processes. That research represents a scientific field, which eventually will lead to the development of a science of education (in the sense of a developed science). Using the same word – education – for the whole human practice and for a research in the field is confusing. We need a name which describes specifically the field of scientific research in education. That field includes everything related to learning and teaching. 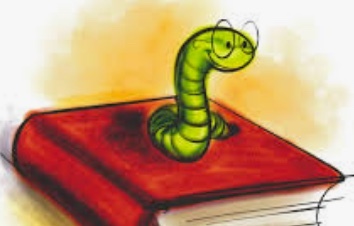 For all species learning is a very important evolutionary process. We – humans – study properties of learning processes so we could use the results of that study for the development the most efficient and effective teaching practices. 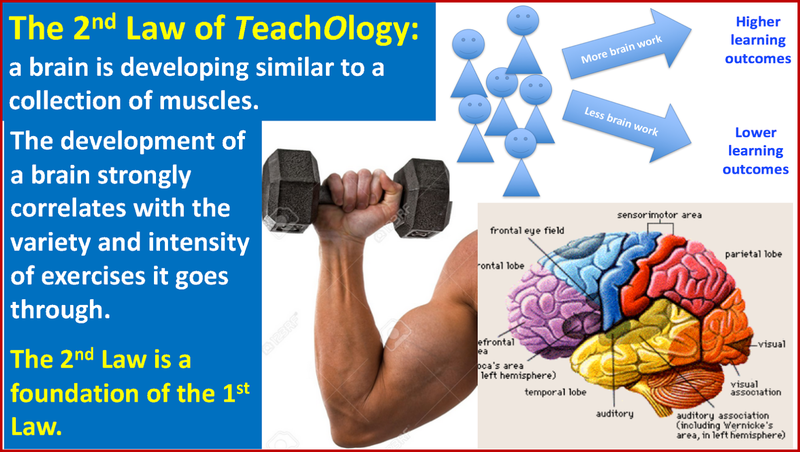 That is why I call this field of research – the field of scientific research designated to study learning and teaching processes – TeachOlogy. 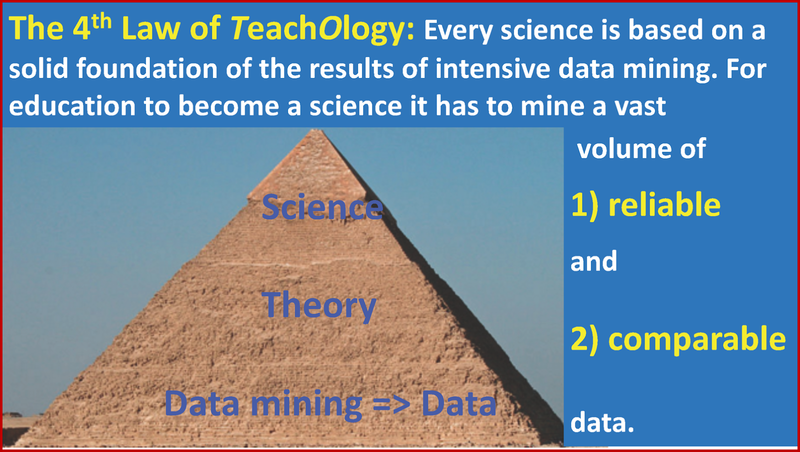 TeachOlogy is not yet a science, it is still a scientific field, or, using the geopolitical terminology, TeachOlogy is a developing science. Even if TeachOlogy is not yet a science, it already has many important discoveries. Those discoveries so far have not been scientifically proved, but they can be used as heuristic rules to plan and execute research practices, as well as professional practices, in the field of learning and teaching. TeachOlogy is a practical/applied "science" (scientific field) of learning and teaching, offering a set of helpful and working heuristic rules (in the same sense as rules for problem solving in "How to Solve It", by Goerge Polya). The reason that the following set of "laws" have been developed is simple - they work! 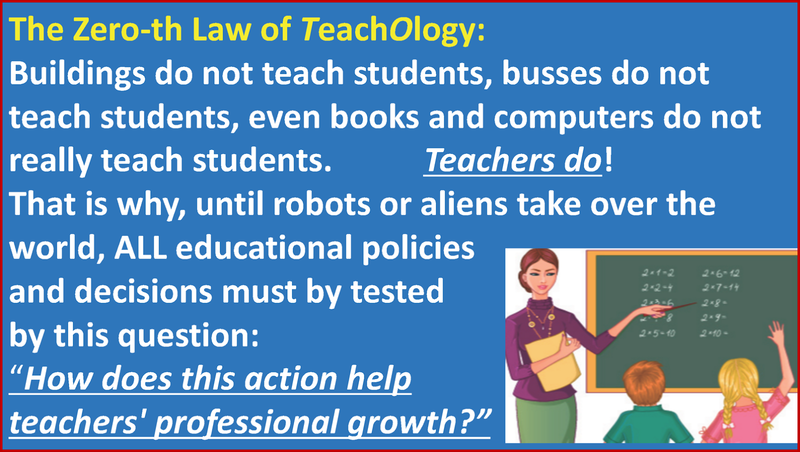 All the laws of TeachOlogy comes from a generalization of a long and successful teaching practice. Evidence prove that I am good a teaching. Why am I good a teaching? Because: (1) I know patterns needed for creating solutions to physics problems (and problems in general); (2) I know patterns needed for learning how to create solutions to physics problems; (3) I know patterns needed for teaching how to create solutions to physics problems; (4) I am good at employing those patterns in my teaching practice. 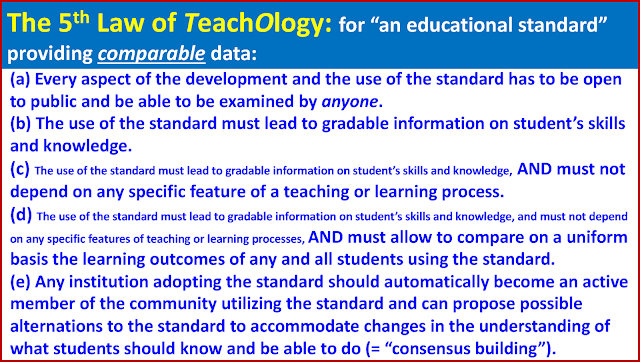 Fundamental Laws of TeachiOlogy represent some of those patterns (more are in by book). Teaching is guiding students through an arrangement of learning experiences specifically designed for helping students with mastering the subject, including understanding the topics, developing skills, and feeling good about themselves. Understanding = making sense of the things by connecting the current experience with the previous knowledge, and – if needed – modifying the previous knowledge, or re-describing the current experience. If a person can learn the multiplication table and the strategy for solving a quadratic equation, that person can learn any high level intellectual knowledge (e.g. quantum gravitation), and there are only two reasons for that not happening - no desire, or a wrong teacher. If the only exercise students had been doing for 12 years is squats, they will not be good at push-ups and pull-ups. 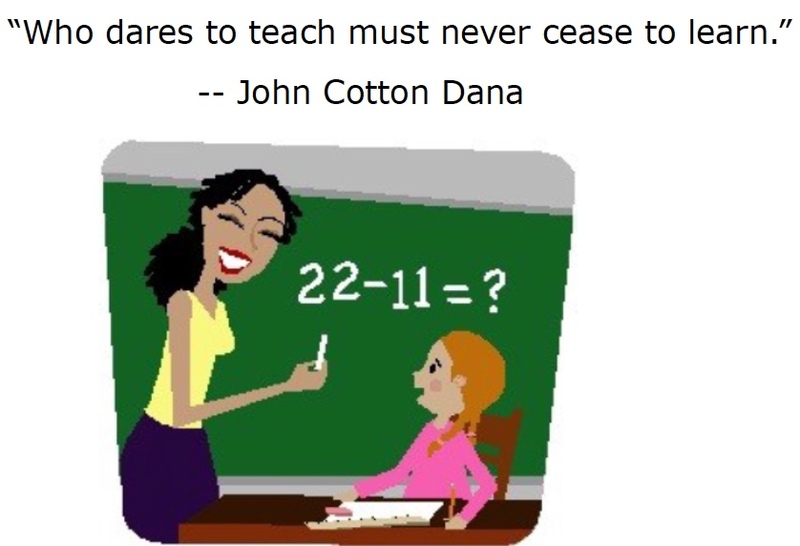 Do not expect from students an ability to think if all the had to do for 12 years was memorizing facts and rules. True learning never happens by watching, it happens by doing. You can watch for hours other people swimming, but if you want to learn how to swim you have to get yourself into water and start trying. Reading (and watching, and listening) helps to form an initial vocabulary, and to set relationships between the current knowledge and the upcoming one. Doing (speaking, writing, solving, explaining) forms the skills. The “learning space” of students in a class is (essentially) three dimensional: students might differ by their 1. background (previously learned knowledge and skills); 2. learnability (rate and volume of attaining knowledge and skills as a function of time and effort); 3. motivation (aspirations and willingness to learn). A good teacher always can provide a reason for his/her actions. Sometime it is "I just felt like doing this". But for a good teacher that does not happen very often. Kids do not know anything and learn everything from scratch. When adults learn new skills, they repeat the same general steps and stages of learning they used to use when where learning as kids (but usually/hopefully faster). Look at infants – they always try doing new things and want to learn something new! Now look at school graduates – so many of them do not want to learn anything new. A facility which does this to students cannot be called “a school”. The best gift a parent can give to a child is good habits; the best gift a teacher can give to a student is love for learning and confidence in ability to learn. 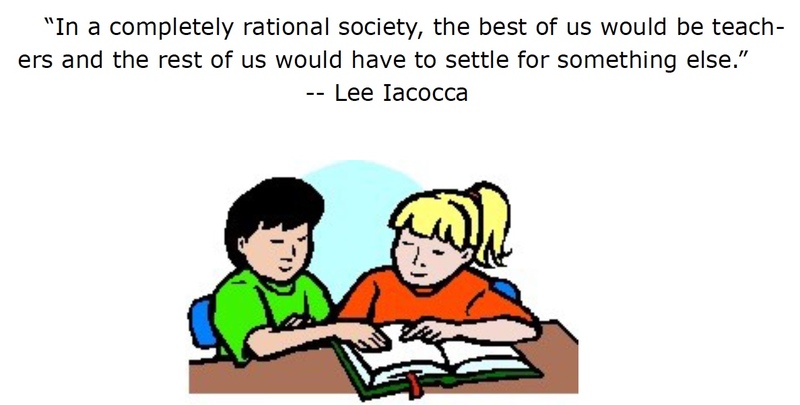 The most important social ability and a habit parents and teachers can give to children is fighting the temptation for instant gratification. The art of teaching is based on the science of learning, the love for education, and the passion for sharing this love. Everybody can drive, but not everyone is a good driver, everybody can cook, but not everyone is a chef. Anyone can talk, but it is wrong to think that anybody can be a good teacher. A great teacher is not the one who just loves teaching, but the one who loves learning and is passionate in sharing this love. If you are a good teacher, your students understand your way of thinking and copy what you do. 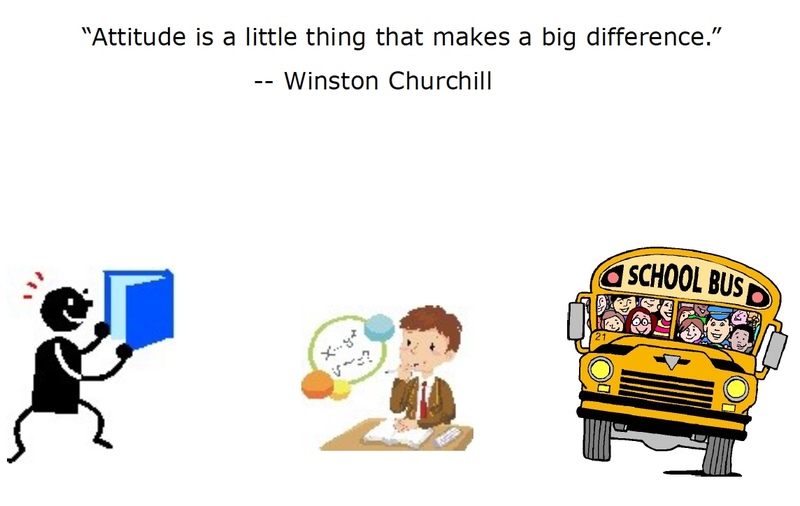 If you are a great teacher, your students can generate their own ideas and do things impossible to you. For example – for a physics or math teacher. If you are a good teacher, your students understand your solutions to problems, if you are a great teacher, your students generate their own solutions. Teachers – like doctors – must take “a Hippocratic Oath” of a teacher. i.e. to promise “never do harm to anyone”, because there is always something more important in teaching than merely transmitting knowledge. If a person does not like a challenge and does not like learning, that person should not go into the business of education in any form; she.he is not going to be a good teacher, or administrator, or a researcher in the field. There are three kinds of human practices/projects with the goal of advancing human life: (a) scientific research - with the goal of discovering new patterns which can be used for making reliable predictions; (b) engineering and art - with the goal of developing and building new devices (and systems of devices), or developing artifacts of art; (c) social advancement - with the goal of a social advancement, developing or adopting new collective practice(s) (new - for the given social group, but may have been used already by other people). Every human practice has some elements of a scientific research: when we start a project, we generally have some understanding of what we want to achieve and how we want to achieve that (“a hypothesis”), and how will we assess (measure) how close we are to the goal (“facts”). Physics represents the most developed scientific approach to study the Nature. When a physicist is trying to understand how the Nature works, he/she uses a scientific approach based on clear and uniformly used terminology, and on well-defined and uniformly used measuring tools and procedures. 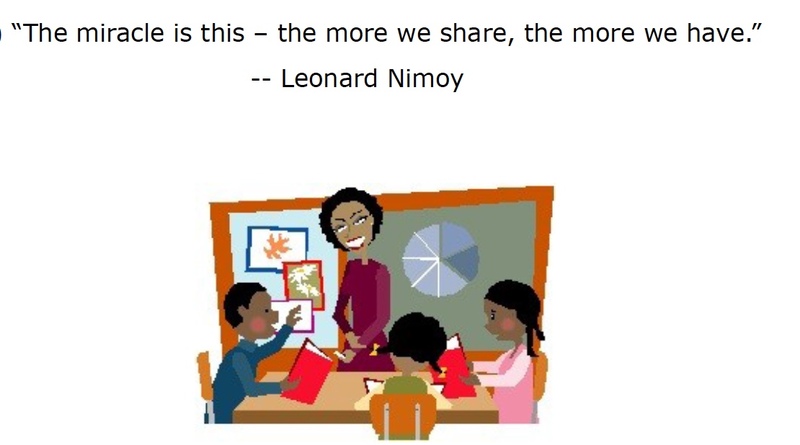 Everyone who teaches science has to use the same scientific approach. Everyone who teaches how to teach science has to use the same scientific approach. The main goal of education is equipping students with the ability to succeed in life. The highest level of education is achieved when students can create solutions to problems they have never solved before. This is just a fact, that the same assignments (e.g. physics problems) may be too easy for some students and too difficult for other students. In both cases the learning is not happening, because a student did not have to learn anything, or could not learn anything. Hence, when designing teaching practice a teacher has to manage the difficulty of the assignments - for all students - making assignment not too easy and not too hard, i.e. 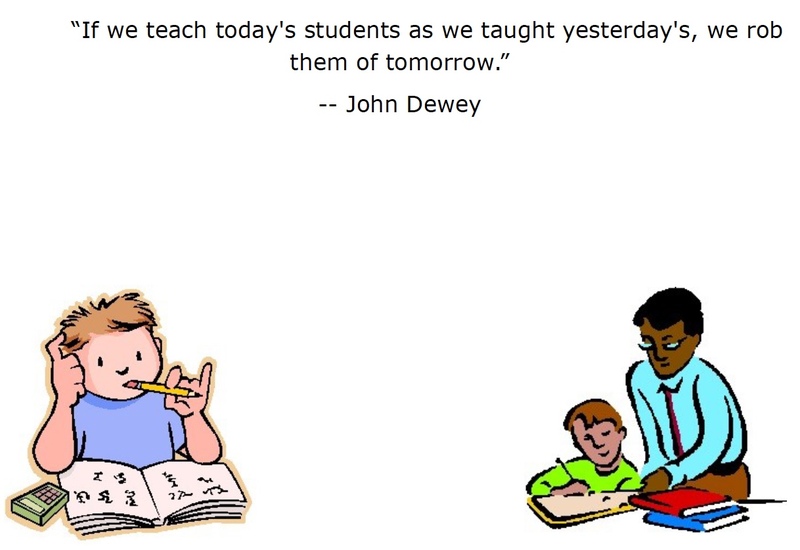 placing them in the Zone of Proximal Development of the students. People who praise the Socratic method should keep in mind how he ended his life. For Socrates, knowledge a person has, defines that person as a whole. When Socrates said: “I know that I know nothing” he did not just accept limits of his knowledge, he accepted his limits as a human being. Unfortunately, expecting the same from others had lead Socrates to willingly drinking poison. A law is a statement of an existing pattern. This statement usually has a verbal and a mathematical representation. A law allows to explain observed phenomena. But the most important application of a law is to predicting events. A law allows to make a statement about (a) what events will be possible for happening (within given limits, under given circumstances, within a given time frame), and (b) among possible events, what is a chance for a given event to happen. That is why in addition to a "research question" the NSF should ask the grant seekers "why specific predictions the scientific community will be able to do as the result of the research?" (shortly: the mission of a science is making predictions; if making reliable predictions is not yet possible, the field is still in a pre-science stage called "a scientific field"; people working in a scientific field are scientists; the mission of a scientist is to discover the truth and to describe it in the form which allows making testable predictions). * using the developed set of pattern for advancing the science. When a scientific field is in a pre-science stage one of the most important tasks of the scientific community is establishing common definitions. This requires a long consensus-building process. Eventually, the best definitions become commonly accepted. The set of scientific definitions forms a "skeleton" of a scientific field. 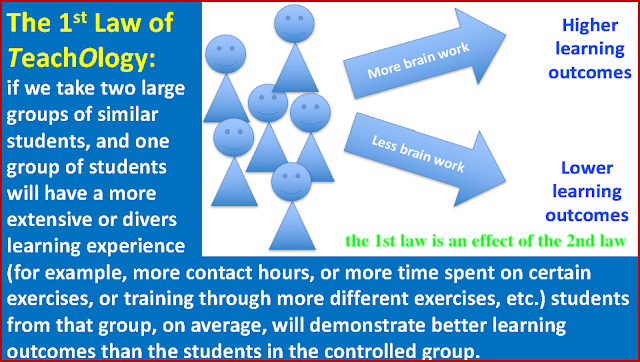 Five basic laws of logical reasoning for learning science. 1. Science has a specific language the structure of which is defined by the definitions of that science. 2. A definition cannot be ambiguous. If obviously different objects fit the same "definition", that is NOT a definition. 3. If something violates at least one feature of the definition of THAT, that something is NOT THAT. 4. For better understanding of what something IS, one needs examples of it is NOT. 5. If you logically derived your conclusion from a basic principle and the conclusion does not make any sense, recheck your logic, or replace your basic principle, or both. When a scientific field reaches the stage of a science it has well established laws, fundamental/basic principles, and well established logical procedures which allow make conclusions from laws and basic principles. Evidently, education is yet a scientific field but not a science. BTW: A Teacher is the Manager of the Class!